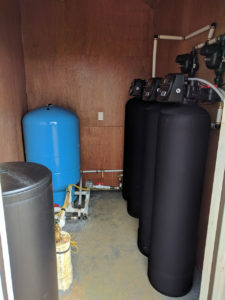 Cabin Resort in Bryson City NC was having hard water issue and rusty ( iron ) colored staining. 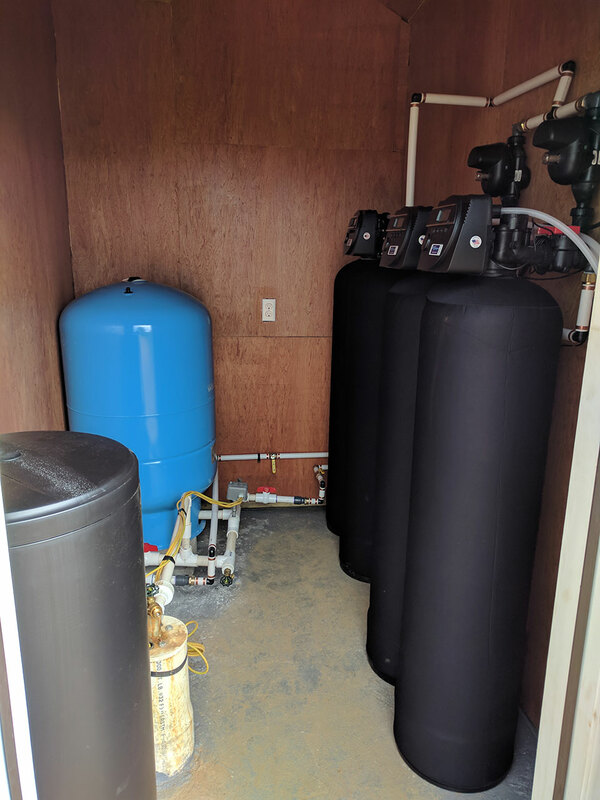 After water testing, results determined that the resort needed Twin Water Softeners and Twin Iron Filter system. This is our Platinum Series, top of the line American Made product. 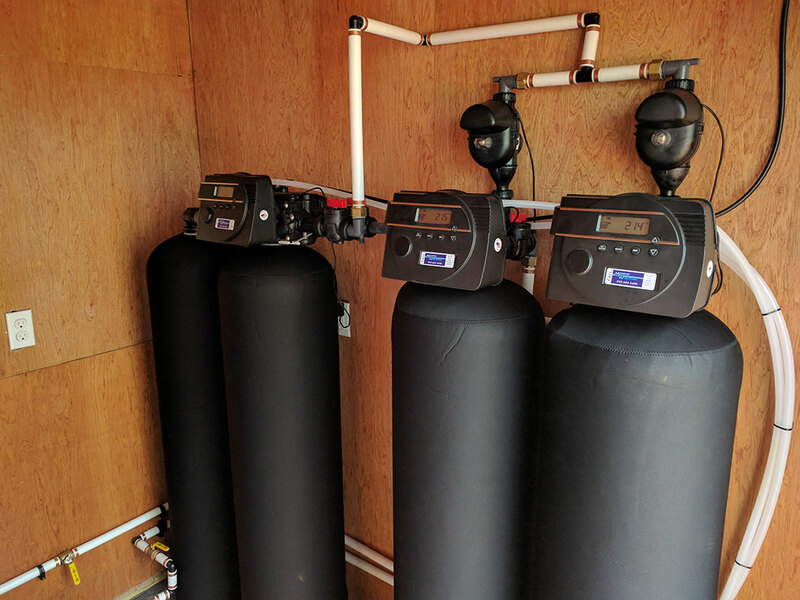 This filtration setup provides continuously filtered water without interruption. 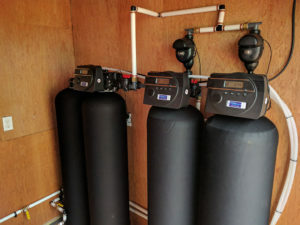 Mountain Water Systems covers all of Western NC. Now, all the cabins have clean, clear water!